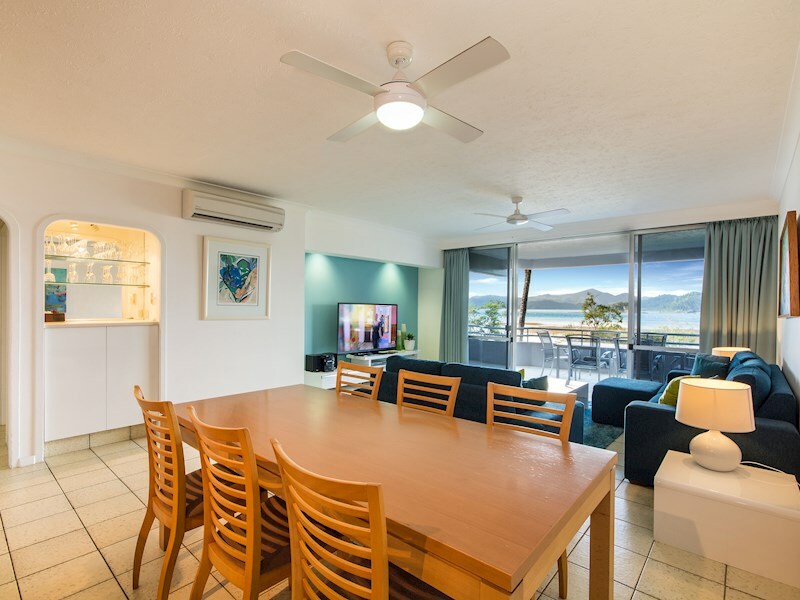 Family-friendly two bedroom apartment with views. 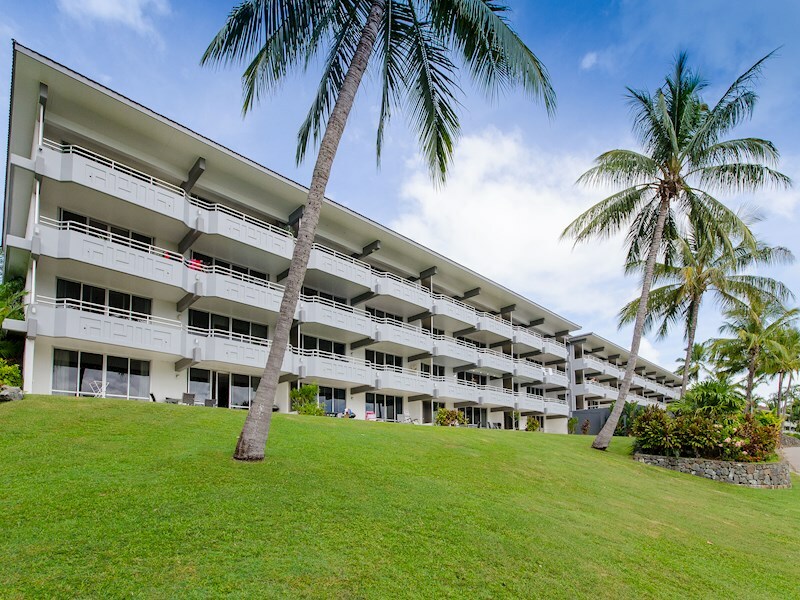 From Monday 13th May - 24 June (inclusive), renovation works are being carried out to a surrounding unit within the complex. 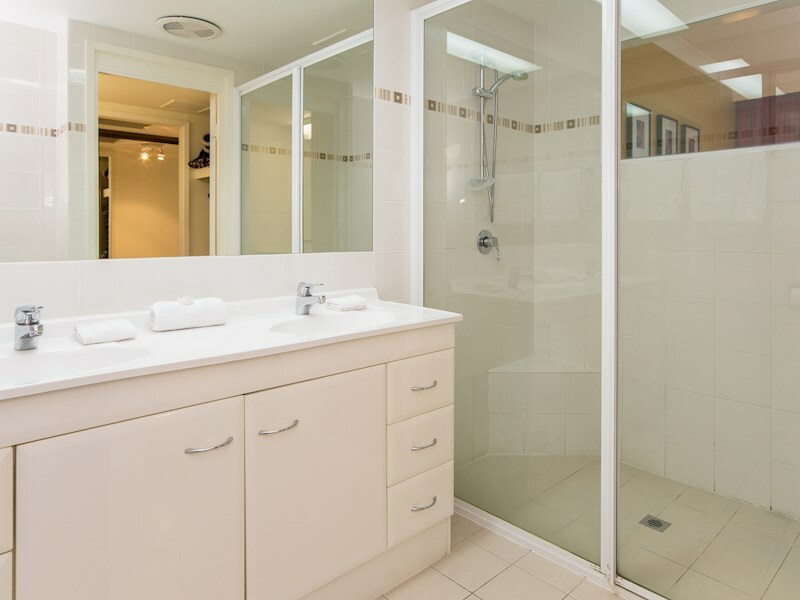 Please be aware these works may cause some noise disruption to nearby units. 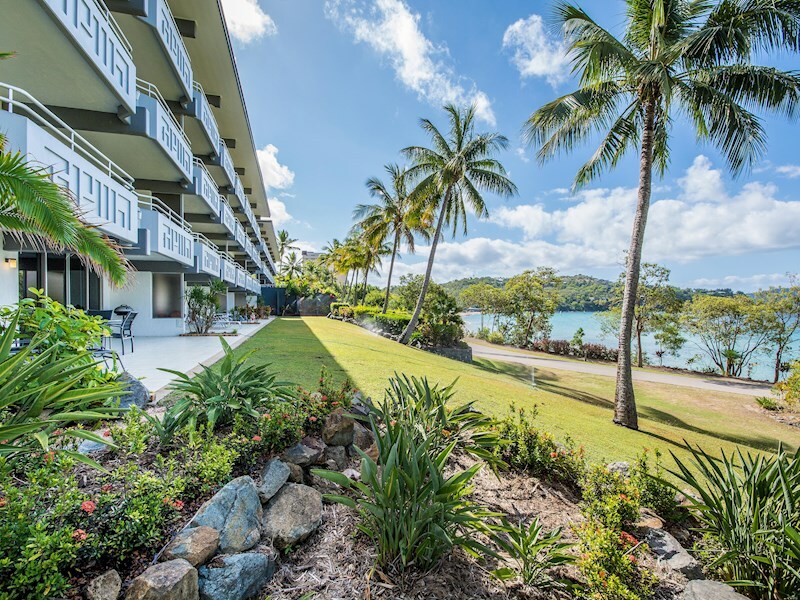 Set over a single level, this bright, contemporary two bedroom apartment offers all of the comforts of home, as well as a spacious balcony, lovely shared pool, and beautiful water views. 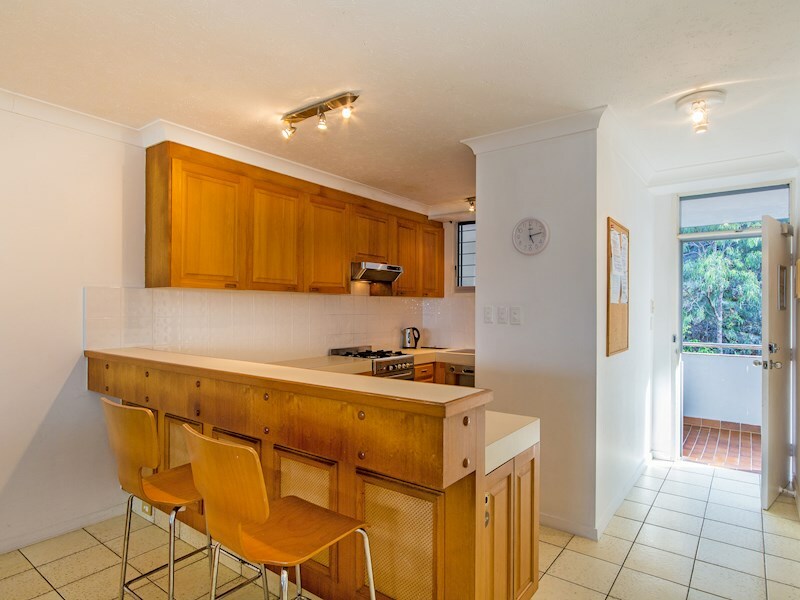 Please note this property is not a ground floor property. 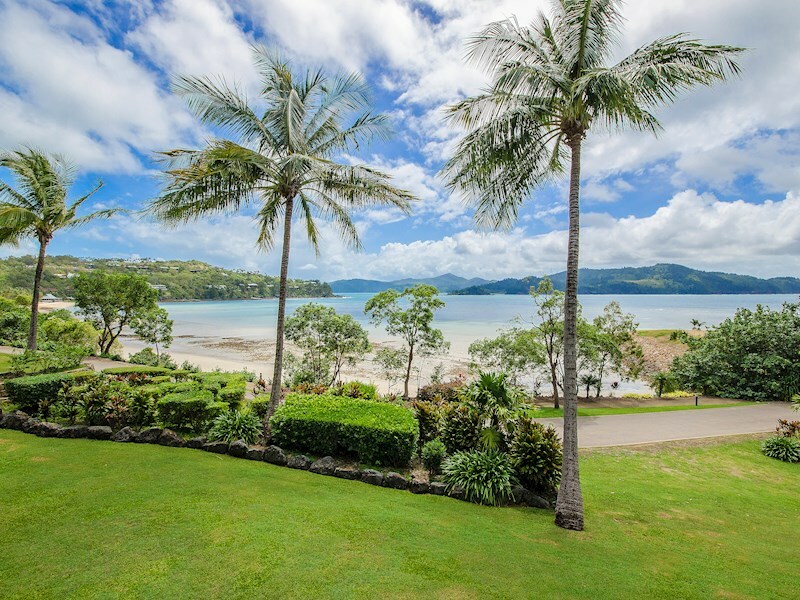 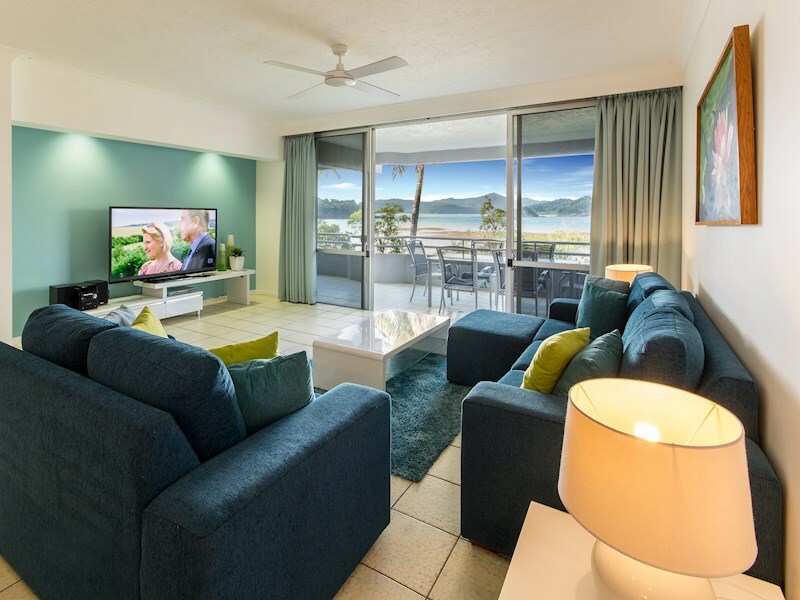 Enjoy glistening views over Catseye Beach and Whitsunday Island from your private balcony, as well as from the kitchen, dining room, lounge area and master bedroom. 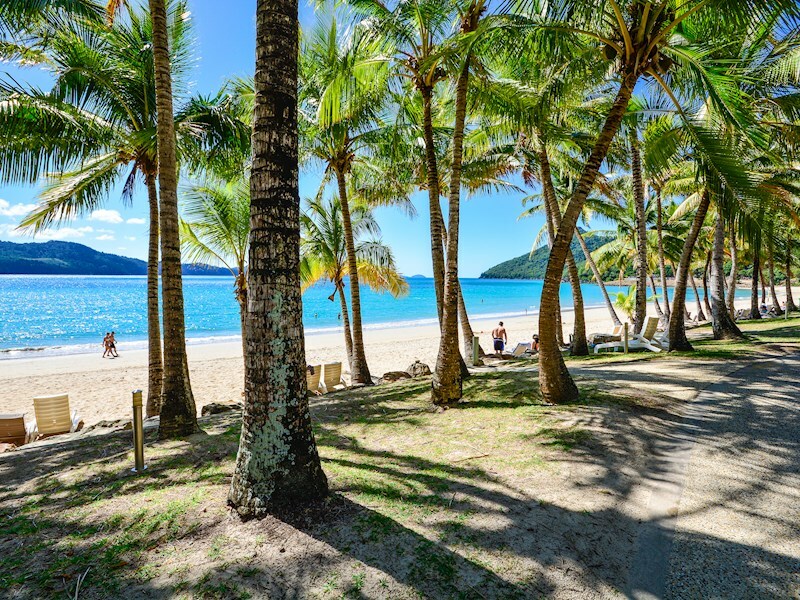 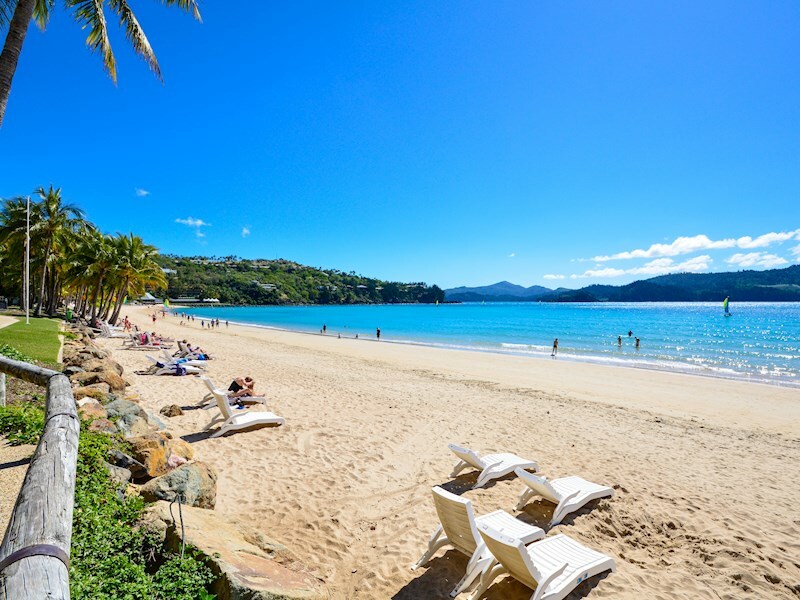 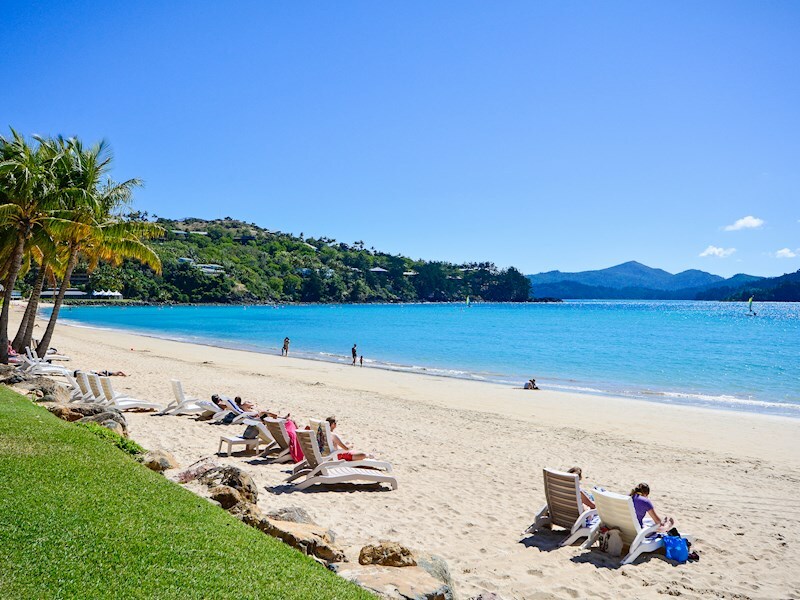 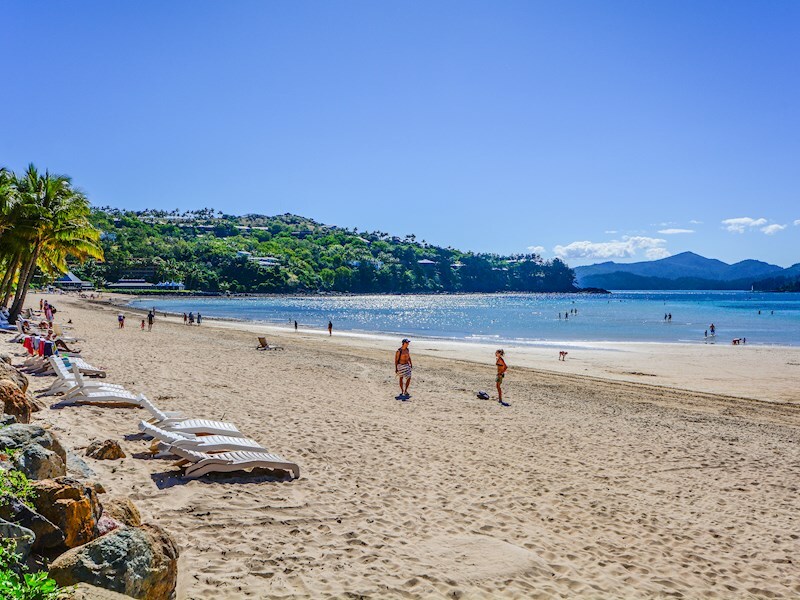 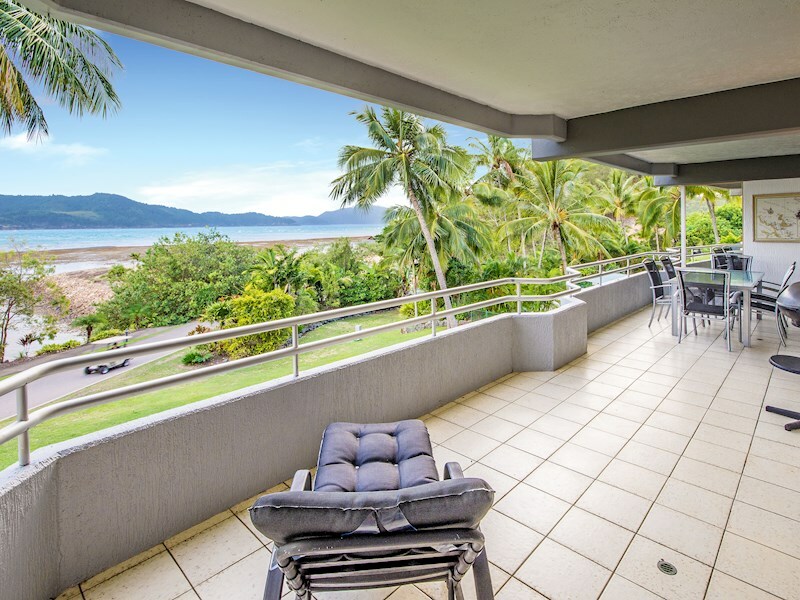 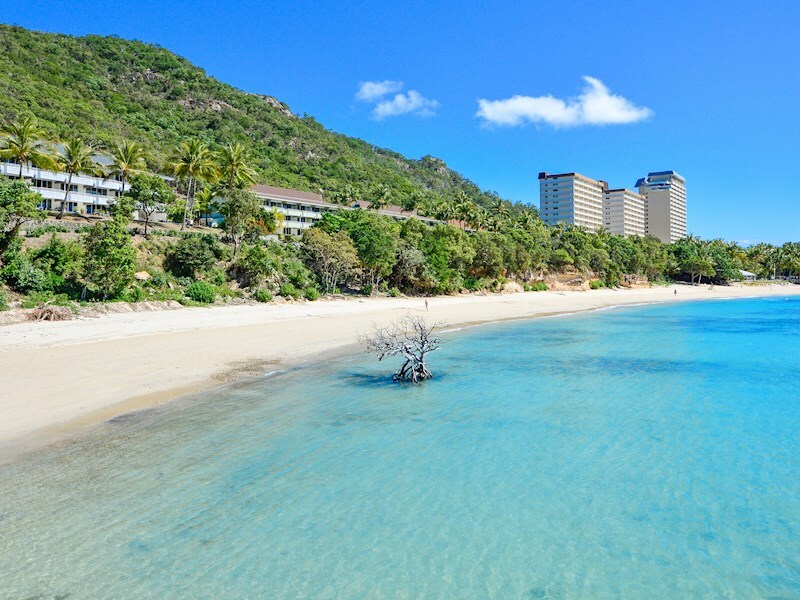 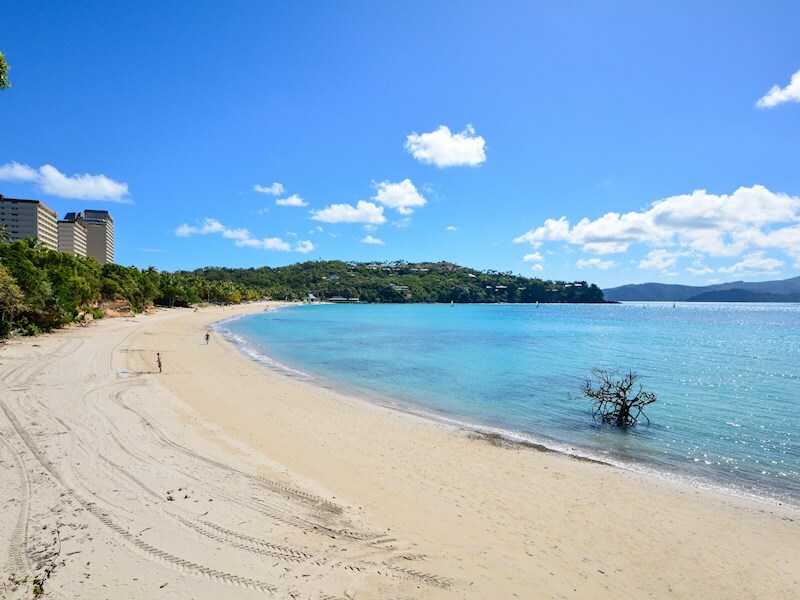 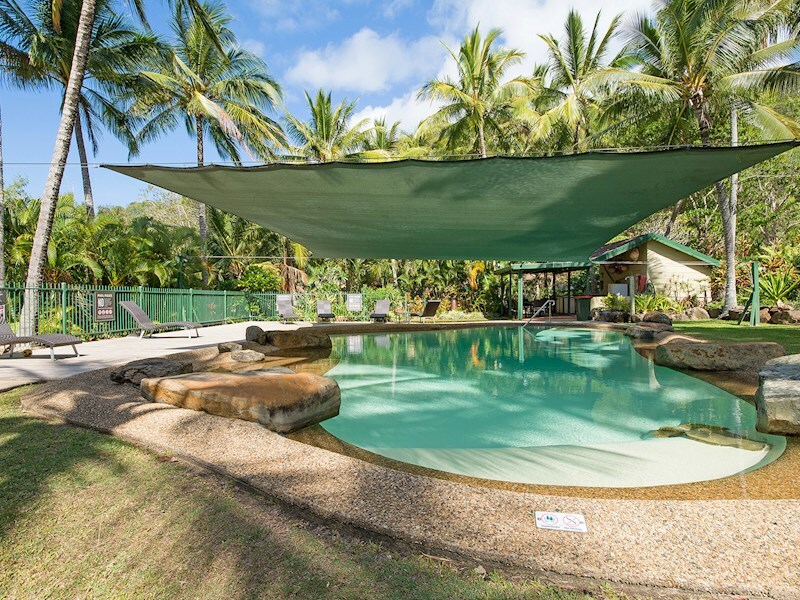 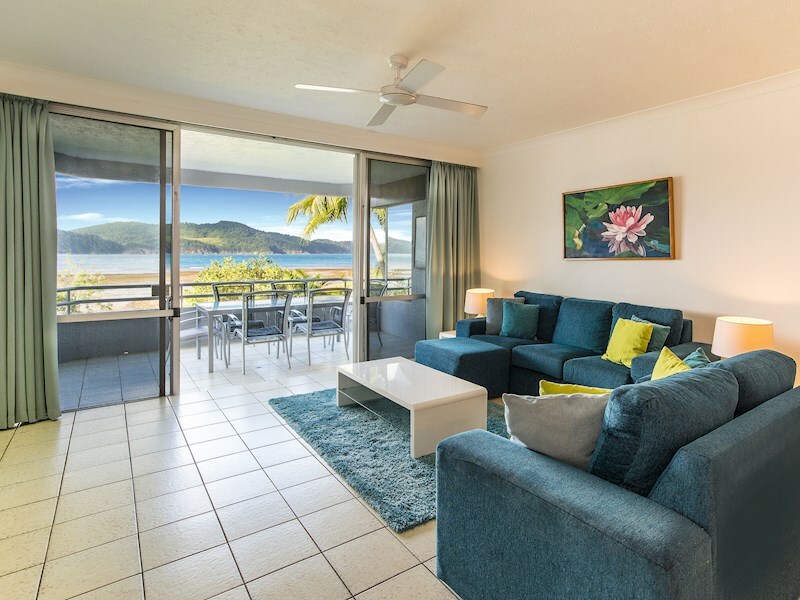 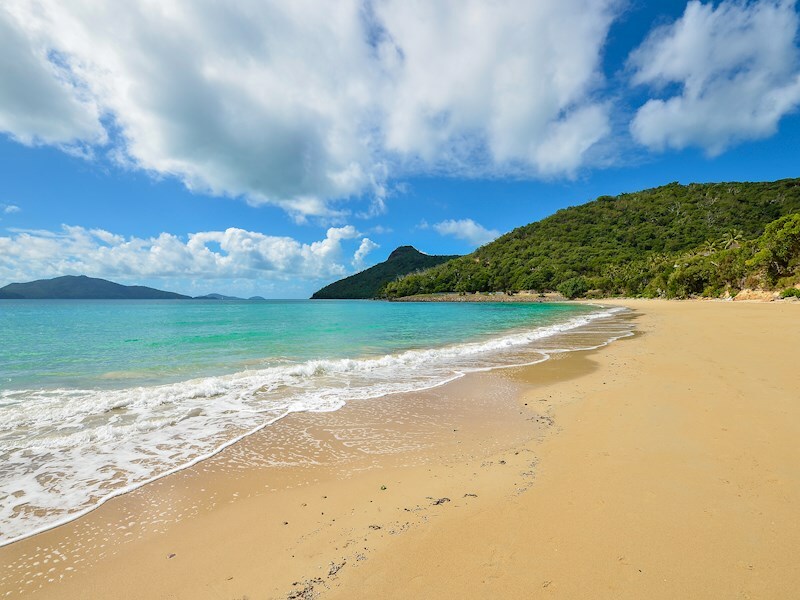 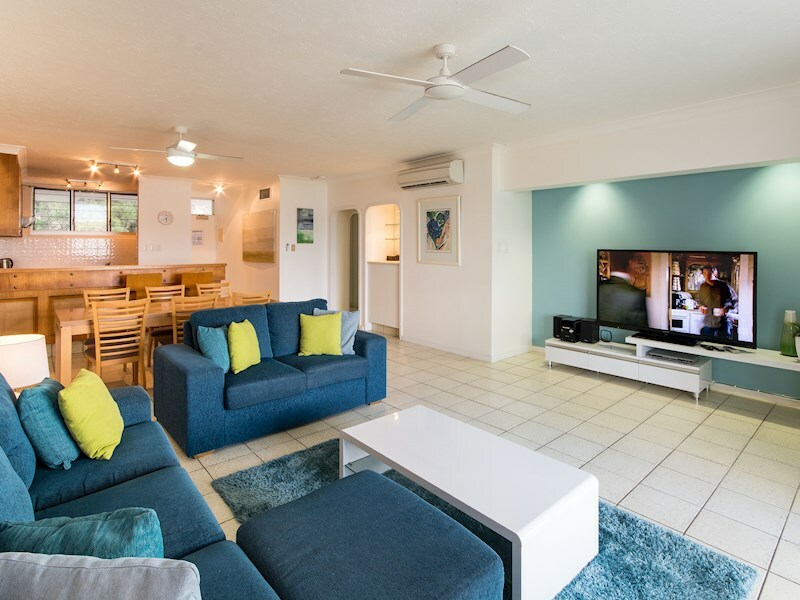 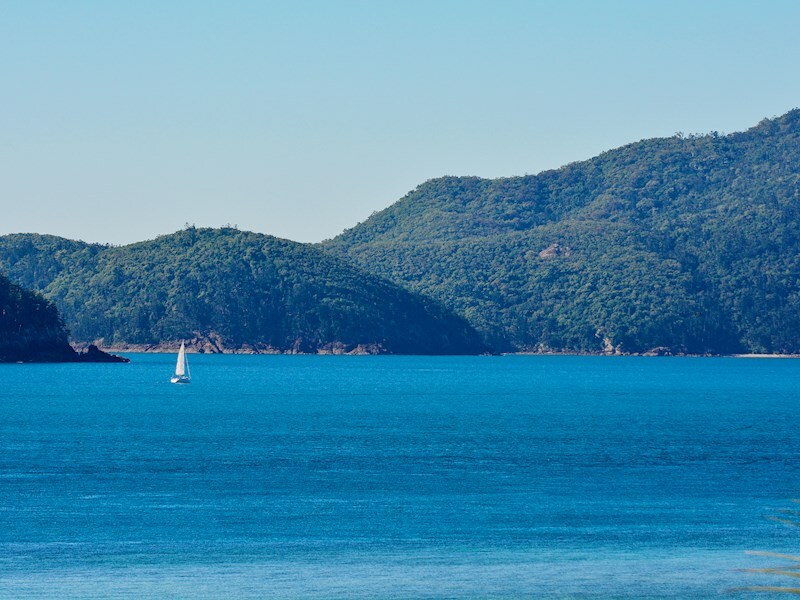 Ideally located on the resort side of Hamilton Island, near Catseye Beach, the apartment is just a short stroll or buggy ride to all of the island's pools and outdoor facilities. 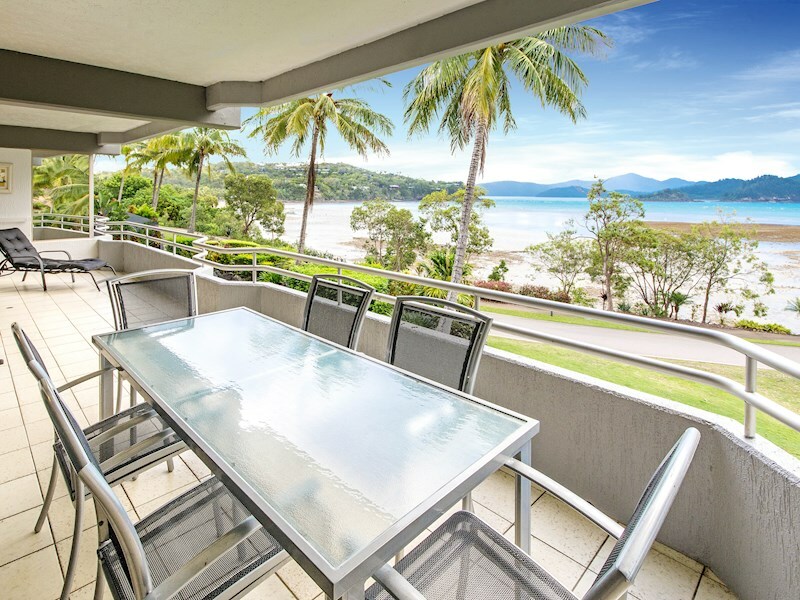 Relax and enjoy the view from your private balcony, which includes a BBQ and an outdoor dining setting for six people. 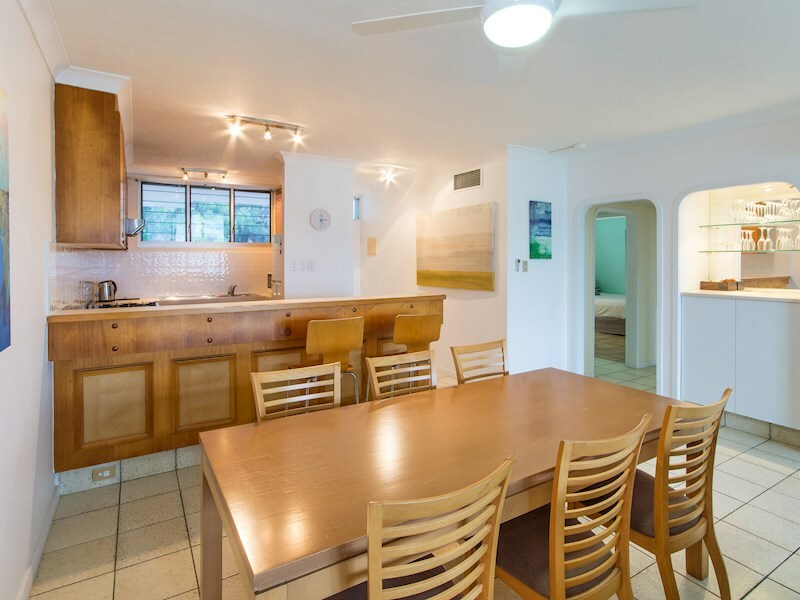 The fully-equipped kitchen makes self-catering a breeze and includes a microwave, oven and large fridge. 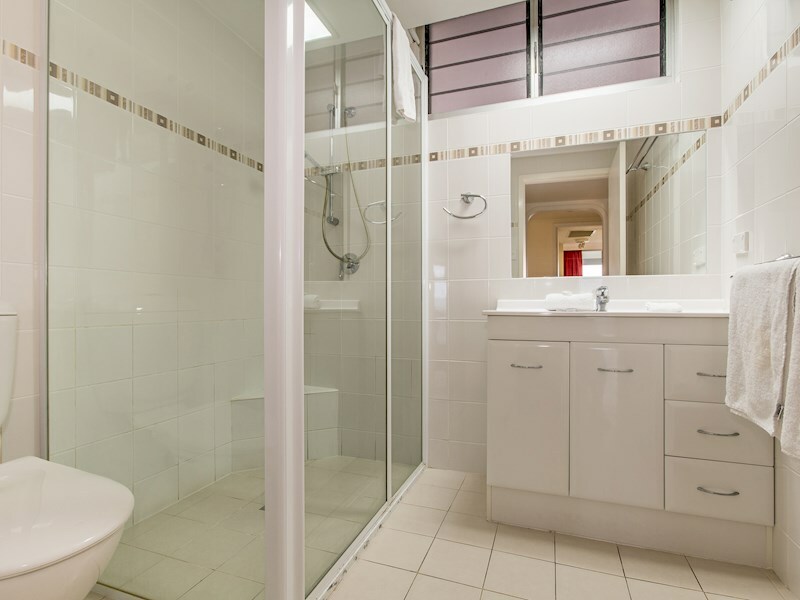 There is also a laundry with a washing machine, dryer, iron and ironing board. 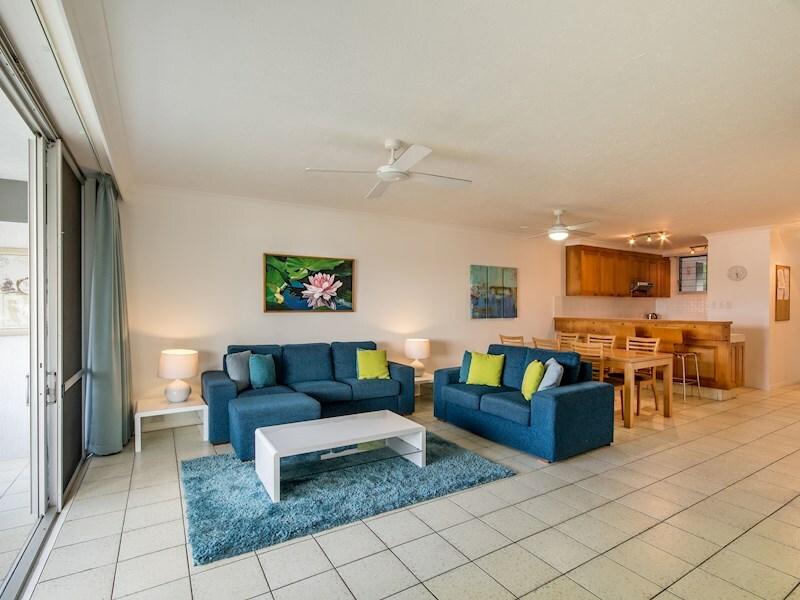 The apartment also has air-conditioning and ceiling fans throughout. 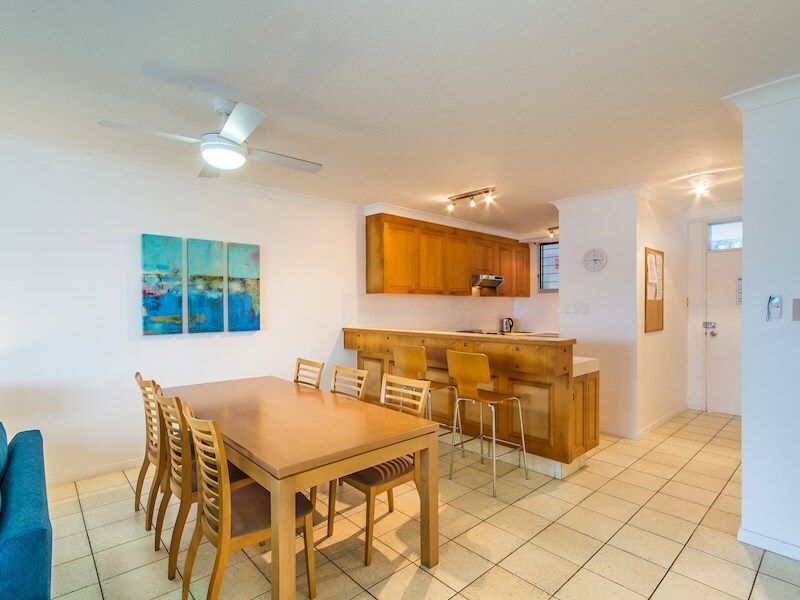 Set over a single level, this apartment is ideal for young families. 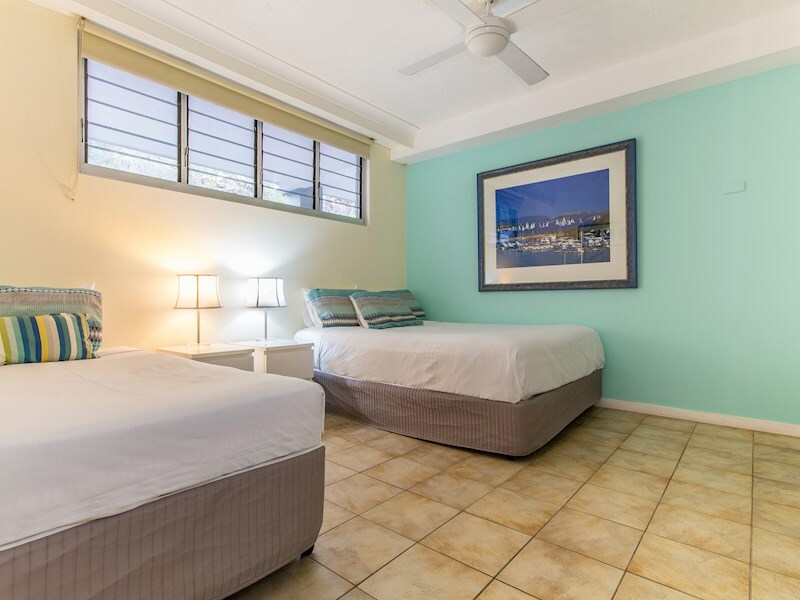 Both bedrooms are spacious and offer plenty of storage. 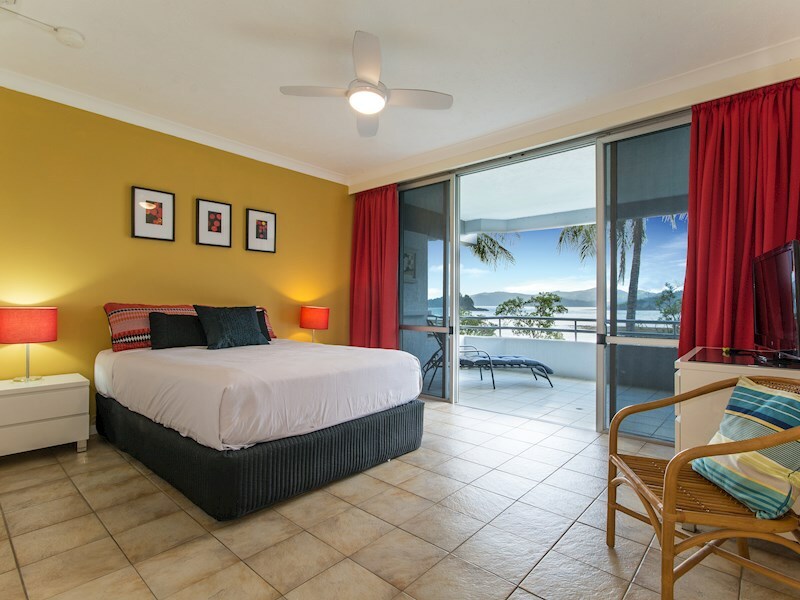 The master bedroom opens onto the balcony and has a king sized bed and its own TV and ensuite. 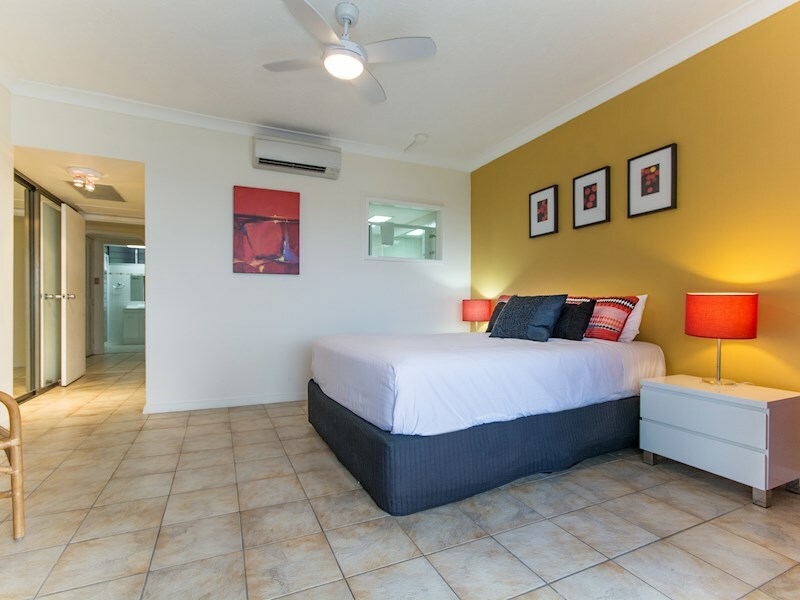 The second bedroom has a queen and single bed. 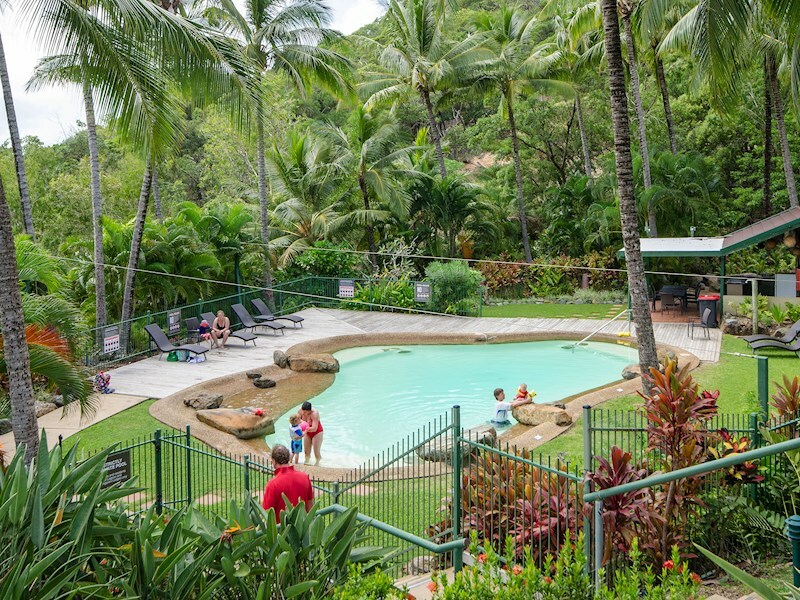 You have access to the complex's shared lagoon pool, spa and BBQ area. 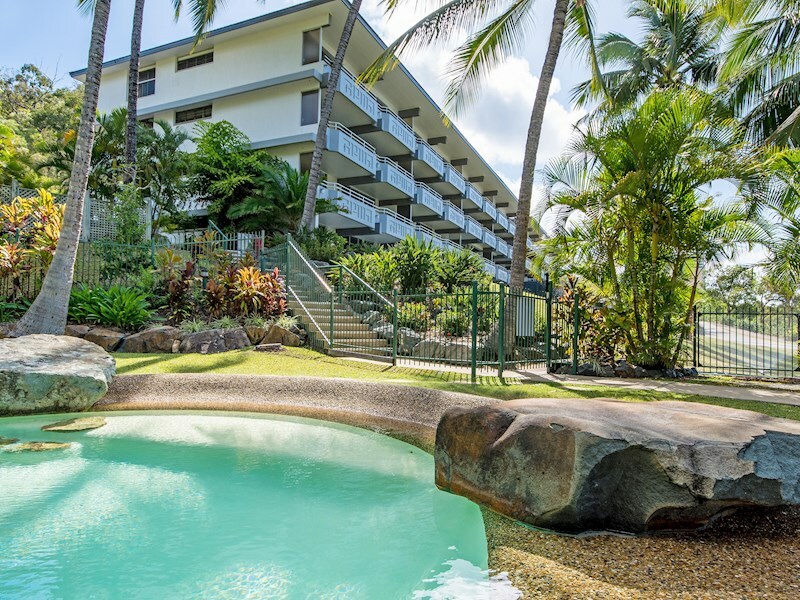 You can also see the pool from your balcony.